I would like to take the opportunity and thank each and everyone of you who were responsible for the development of my daughter. Truly speaking Anika has become so much brighter and much more active after starting at Toybox. Her key worker, Tom, I have no words, has been such wonderful and i am really thankful to him as well. Anika always remembers you and will remember you and Toybox forever. I would like to thank all the office staff who helped me with all my queries and non sense all the time :), the cooks because of whom Anika appreciates the food so well, all the carers who took care of her while she was at Toybox. Everyone at preschool were absolutely amazing. I have no words. My apologies for not knowing everyone's name but Anika remembers you all very well and I am sure if she bumps into you she will remember you all very well. Anika has settled really very well at her new school and she id doing great. On behalf of my wife Sinthiya, Anika and myself I would once again like to thank Toybox for everything that they have done for my daughter Anika. 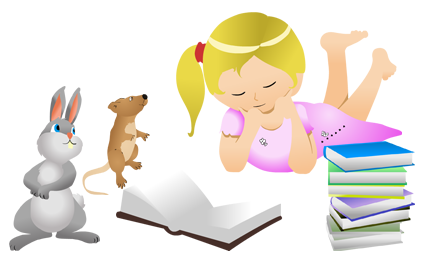 This nursery gives utmost importance to and works for the overall development and well being of the children. you get to speak to the parents, grand parents or who ever the child being a lot more, it also get other parents together and making friends! great start in life that each and every child deserves. Toybox is a fantastic nursery where all the children are happy. They are given a wide range of activities to join in to extend their learning to their full potential. I would like to say at this point after 2 DAYS of working at Toybox I hope that I can have a career at Toybox as ALL the staff help each other to the best of their abilities and I love that and hope I will be part of the Toybox family for many years to come. I have my weaknesses but I know all my new colleagues and managers will support me and help me with these. Here's to many years in your team. she loves every day at Toybox. Staff who really care. Above all else, this is what I most wanted and am thrilled to see in practice at Toybox. First class people who are first and foremost your child's best friend. A safe, stimulating and above all exciting environment for your little one to blossom within. It is a testament to the hard work and passion of the owners that your child always feels like they are leaving a party at the end of the day and not their nursery. This is a fabulous well run nursery. The children clearly enjoy attending and learning new skills with the staff. They're always so happy and friendly - nothing is too much trouble. Fantastic nursery, with very dedicated, friendly and caring staff. Hands down winners! have been extremely happy at toybox, and have grown into amazing children. Excellent nursery!!! My daughter has become so intelligent, independent, brave and jolly.. Thanks to Toybox..
community rather than users of a nursery facility! all very friendly and welcoming and great at what they do. I'm a fussy person but cannot pick a single thing I would change at Toybox. teacher in every room. It would have been foolish (in our view) to stop such a good thing too soon so we kept him at Toybox until the term after his 5th birthday when legally we had to send him to a school. we would make having seen the outcome and the benefits. Toybox is a clean and safe space filled with interesting and stimulating things for children to play with and learn from. The staff are cheerful and enthusiastic; they are funny, caring and always professional. attending nursery which makes working full time much less heart breaking than I thought it would be! I would definitely recommend Toybox to anybody! he slept, ate and played, what he learnt and what new skill set is is developing and showing - this is also updated on the online system (along with pictures and videos of my child) which is very useful. The facilities at the nursery are above my expectations and help my child develop - he always has something new to show me when we get home. Very happy with Toybox and their staff. staff which is such a nice feeling for me. Couldn't be happier and it truly is one of the best nursurys and deserves to be recognised. have done together! It's lovely to hear. for all the children attending. We have used several childcare setting for my older child previously, but Toybox is by far superior to others we have used. potential. I wouldn't send my child anywhere else. I have total confidence in the staff and peace of mind that my child is being well looked after when I cannot be there. This Nursery deserves to win. Toybox is not just outstanding as rated by Ofsted. It's what the children think that counts and as a parent I guarantee that my children have LOVED their time at Toybox. All of the staff are wonderful. Our 3-year-old settled well with their patient help. He is now a confident and outgoing pre-schooler. And he lives going to nursery. Go Toybox - a very deserving nursery who meet all of the outlined criteria and more. we feel that our child is in very safe hands with a dedicated, enthusiastic and highly qualified team within a safe and secure environment. Toybox, for their warm, sympathetic and compassionate environment where our children thrive. nursery that really does care and really does deliver. They dealt with a crisis (and an ambulance) in our daughter’s younger months with such care, calmness and attention, a sign of true professionalism. I continually recommend Toybox to anybody I know with children and cannot praise them highly enough. They really do deserve this reward to recognise their establishment and every single one of their superb staff. my life as a working parent much easier. our daughter a head start in life and would thoroughly recommend the nursery to others as we do. to be polite, respectful of others and to share her individuality. Toybox has shared comments and progress reviews with us parents on a daily basis which has helped us engage with our daughter from her own perspective. I would like to vote for Tom Hawking, he formed such an amazing bond with my son and was such a positive influence to him. I have been really impressed by the professionalism, friendliness and care demonstrated daily by the staff at Toybox. My son loves attending and comes home telling us all about his day. My son has attended Toybox for a year and a half (starting when he was 6 months old) and we have loved it since the first day. to my son's dietary and medical needs at all times which is so crucial for me knowing that he is in safe hands while I have to work. The communication with parents both verbally and via the ey log is brilliant. and dedication to getting all the children to reach their potential and mile stones. Attentive staff, fantastic online communication which means you can share in your childs daily experience and sets them up excellently for the big step to Primary School. Good outside space and enough diggers in view to keep any small boy excited to go to nursery! A great place to nurture young lives. chef and housekeeper really do all work as one team, being proud to work at Toybox and deliver the very best care and education for all our children every day. A big THANK YOU to you all. This Nursery should win because we are an outstanding and absolutely brilliant setting! All staff work extremely hard to create the best outcomes and great start in life that each and every child deserves. A well-structured nursery with professional development for the staff and an enticing and educational setting for the children. Toybox Nursery is unquestionably the best place I could have sent my young daughter now I have returned to full time employment. As many parents will know leaving any child for several hours per day is very worrying and one of the biggest decisions they will make as a parent. Every parent wants the best for their child and attempting to find that perfect place can be very difficult. My partner and I visited several nurseries in Bedford and Milton Keynes before choosing Toybox Great Denham and couldn’t be happier with our decision. Our daughter benefits from exceptional learning & development, a fantastic variety of cuisine, indoor and outdoor activities with specialist bespoke accessories designed with the children in mind. Without question the staff who care for the children at Toybox nursery are highly trained, experienced and carefully hand-picked by management to provide the very best care for the children, this shows in the expertise, friendliness and care given by all staff members. I cannot pick a single fault with Toybox nursery and would give it 10/10 in all aspects that parents find important when leaving their child(ren). To witness your child’s enjoyment at attending nursery and the bond formed with all staff members is priceless. ‘We chose Toybox for a number of reasons and continue to be impressed with the professionalism, support, and knowledge of the staff. Toybox was recommended to us. Also they had an ‘outstanding’ Ofsted report which made really good reading. We decided on visiting first. We just turned up unplanned and as soon as we got there we were greeted by a member of staff who was more than happy to walk us around the nursery and answer any of our questions – and we had quite a few to ask! Following this visit we attended a couple of stay and play sessions and then signed up. Our little boy loves going. Each day is different and he is making such good progress. The staff always make time to discuss this with me, and also give me advice when I ask. What more can you ask from a nursery! Why did we choose Toybox? My son attended his first nursery from the age of 11 months until he was 18 months at which point we moved house and it became clear that the journey to and from his current nursery was unrealistic. I wasn't looking forward to trying to find a new nursery as it had taken me a long time to feel happy with the concept of putting him in nursery at all, let alone finally finding one I felt comfortable with. I made appointments with 3 nurseries in the Bedford area and dutifully went for a look around the first one, which was fine and had several recommendations from friends, but I just didn't get that feeling...the one that parents get that makes you feel positive about the experience of nursery, not wary. So on to the next nursery, the unknown venue to myself or my friends as it was so new and was just starting up. I wasn't too keen on the idea of a brand new nursery at first, how would they know what works in terms of procedures? But after some research and a lovely phone call with a manager I realised they had a long history in childcare and we're simply setting up shop in a new location, bringing with them experience from several very successful nurseries. So, the appointment to view Toybox came around, myself and my son went to the door and were welcomed by one of the managers, and to be honest, as I stepped in the door I was already getting that feeling I had hoped for at the previous nursery. I wanted to be sure it wasn't just a reaction to the lovely brand new facilities so I spent a good hour looking around and talking to staff and by the end of the visit I had my registration form in hand ready to take home and sign us up. It's hard to explain the reason behind that feeling of security that I got at Toybox, but there were certain factors that contributed, the main one being how comfortable our son was with the staff, he wanted to get out of my arms and go down and play while we were looking around and he also gave the 2 members of staff we had spoken to the most a hug as we left. I am a great believer in instinct and his had obviously told him that these people were ok. On the tour I had all my questions answered about procedures, they told me about the plans for the site as it continues to develop and about their staffing policies. All of this made me sure that I had chosen the right place for my little man. Our son has been at Toybox for nearly 8 months now and I am still just as pleased as the day he arrived. He has recently made the transition from one room to another and I am pleased to say that this was managed very well to ensure he still felt secure and happy. There are several things that in my mind make this nursery successful for its parents and children, at the grass roots they employ high quality, qualified staff and this is clearly displayed for parents to see so you know who is qualified and to what level. They have continued to develop the site in the way they said they would and they have included parents in the decision making process which is important to me as I feel like I am a valued customer. As a teacher myself, I know that shiny facilities are lovely, but not what makes a successful learning environment, that comes from the staff and I am incredibly pleased with the staff's hard work and dedication to the children and their development. There is just the right balance of fun, learning and behaviour management and the children's progress is regularly tracked and their learning/development journey is available to view at any time. Obviously there will be queries and concerns as your child develops and I have been pleased with the way the nursery and the management have dealt with ours, from something as small as re-iterating our sleeping routine or discussing pricing changes we have spoken to staff and had a mature, professional conversation with actions that have been followed through and as a parent and customer again, this makes you feel valued and listened to. The general structure of the nursery allows all staff to get to know all of the children and there is management in all three rooms which means that whoever I speak to knows who I am and who my child is, this is very reassuring and means that when they rotate staff the children are seeing familiar faces and it certainly gives the feeling of working with a 'family' of staff, not just one room leader. I can only conclude by giving my absolute recommendation for people to attend Toybox. I would certainly send any further children of my own here and I know that my sister, who is due any day know, already has plans to sign her daughter up based on our sons positive experience.